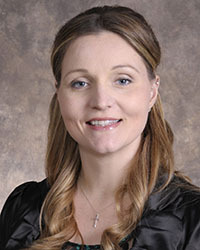 As a Springboro native, Dr. Kassandra Bond is pleased to be a board certified family physician located within Springboro Health Center and serving the medical needs of her home town. After following her family tradition of graduating from Ohio University, with honors, Dr. Bond pursued her dream to become an osteopathic medicine physician. She now resides in Springboro with her husband, Robert, and their two children. Dr. Bond has more than six years of experience in Family Medicine and welcomes new patients of all ages. Family Medicine, specializing in osteopathic manipulative treatment (OMT) and providing quality care throughout a patient's lifetime. Dr. Bond welcomes patients of all ages.